Some of my favorite interviews are the ones where I feel like I’ve made a new best friend. This one definitely qualifies! 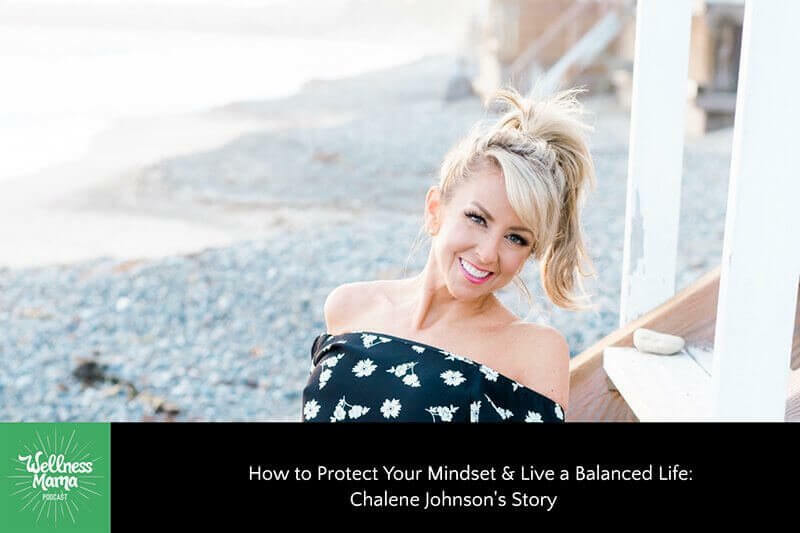 Chalene Johnson is a lifestyle and business expert, an amazing speaker, and host of two top-ranked podcasts. You probably know her as the creator and face behind PiYo, a super popular workout program based on pilates and yoga. Chalene is also a New York Times bestselling author and has been named one of the top 50 female entrepreneurs. Today Chalene shares some of her top advice for living a happier and more balanced life (and ways to appreciate what we already have!). She will be the first to tell you that she’s made mistakes along the way, but they’re ones that turned her on to her current path and have made her a positive force for holistic wellness in the world. Now, with the help of top dietitians, doctors, and researchers, Chalene has created something called “The 131 Method,” which is a personalized nutrition solution, which I love. While all of this is incredible, what really shines about Chalene is how she values her contributions as a wife and a mother just as much as her professional accomplishments, if not more. If (like me) you’ve ever felt like you’re “not enough,” this episode is one to come back to again and again. Did you enjoy this episode? What other ways do you protect your mindset? Please drop a comment below or leave a review on iTunes to let us know. We value knowing what you think and this helps other moms find the podcast as well. This episode is sponsored by Four Sigmatic, a company whose delicious drink mixes I use daily in some form. I’ve been fascinated lately by the benefits of medicinal mushrooms like Chaga, which has more antioxidants gram for gram than anything else on the planet, so one serving for instance has the same antioxidants as thirty pounds of carrots. Crazy. Cordycepts is another one, which is great for the immune system, Reishi which helps promote restful sleep, and Lion’s Mane which is thought to promote focus and brain health. Four Sigmatic takes these superfood mushrooms and blends them with coffee for a brain boosting jitter free morning drink. They also have a line of delicious elixirs that are caffeine free and great for any time of the day. I almost always end my day with a warm cup of their Reishi, which makes a noticeable difference in my sleep quality and I often begin the morning with a cup of the coffee with Lion’s Mane. My kids love their superfood hot cocoa and I love that it contains Reishi which helps promote calm and sleep! You can check out all Four Sigmatic products at foursigmatic.com/wellnessmama and save 15% with the code wellnessmama. Troubleshooting your thyroid: are metabolism TSH blood tests enough?